As a food blogger and healthy food enthusiast, I’ve cultivated a list of time-saving measures over the years that save me time and money, while allowing me to prepare meals with fresh, quality ingredients. While these kitchen hacks are now second-nature to me, I’m always reminded that they seem downright bizarre to a visiting houseguest or friend.“Why do you keep ginger and coconut flour in your freezer?” Or “Why do you store onions in lunch bags?” I’ve been frequently asked. Well, friends and family, here are the methods to my madness! I enjoy the convenience of always having fresh, peeled ginger on hand so I can quickly grate it into a sauce, soup, salad or dessert. My “Ginger Secret”entails peeling a couple large pieces of ginger occasionally, breaking them into 1-inch knobs, then placing the pieces into a zip-top bag in the freezer. When I want fresh ginger, I simply grab a peeled knob and grate it – still frozen – using a microplane grater (I use this one) directly into the dish. 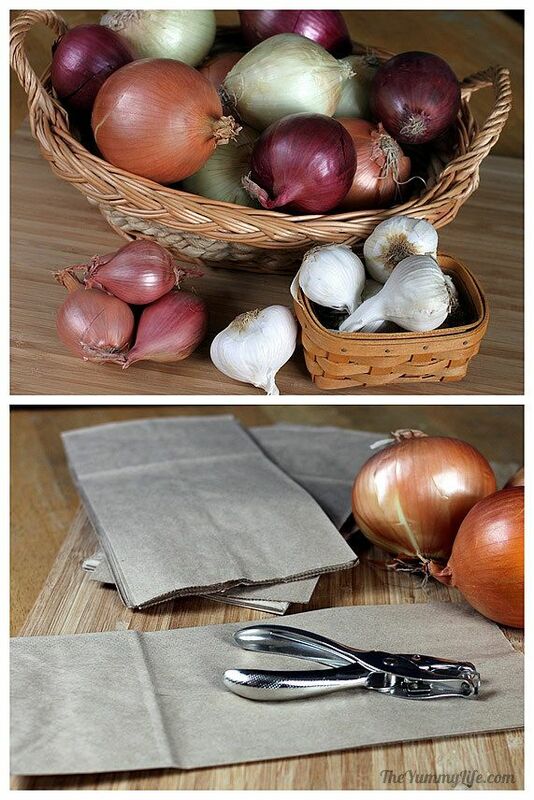 Recently, I discovered how to keep onions, garlic and shallots fresh for upwards of two months without moulding. This SO works! All you need is a paper bag, a whole punch and a paper clip. Here are the instructions from The Yummy Life. When I’m packing a lunch, I love to add half an avocado. To keep it fresh and green until lunchtime, I pour a capful of raw apple cider vinegar over the cut surface of the avocado. It reduces oxidation, which is what causes the brown crust to form on the cut avocado. 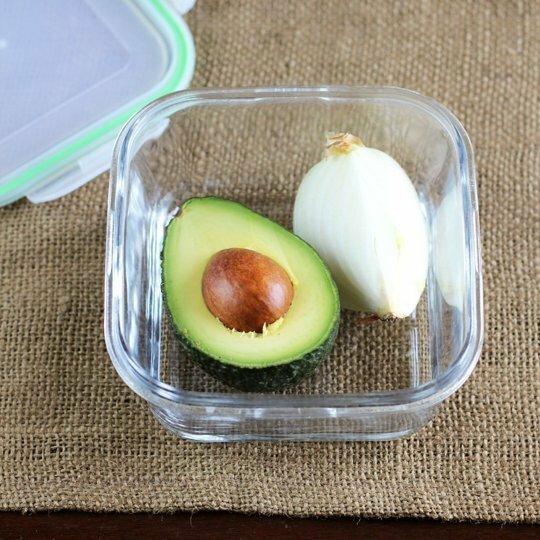 When I’m keeping a cut avocado in the fridge, I use this brilliant tip from The Kitchn, which requires a piece of cut onion (which you will now have on hand, thanks to kitchen hack #2!). This will keep the avocado fresh for one or two days. I love baking with coconut flour, one of the healthiest flours available. However, I’ll often use just a few tablespoons at a time or go weeks without using it. 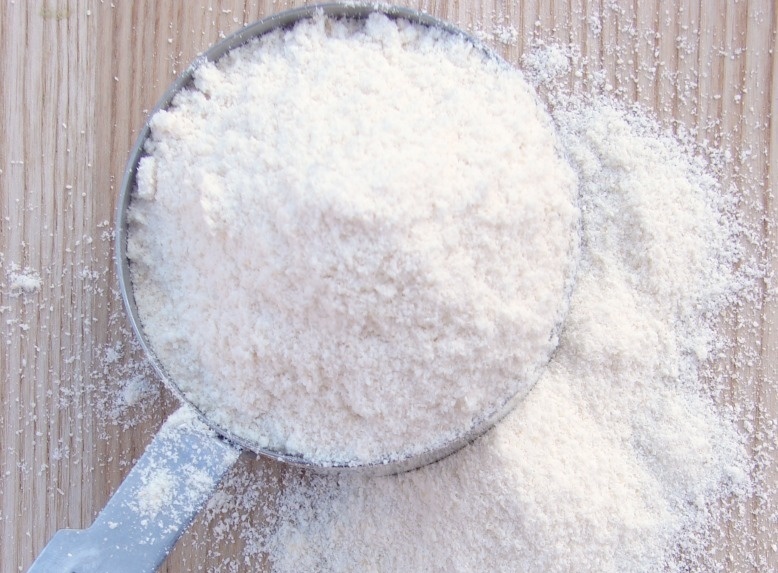 To prolong the shelf life of coconut flour so it stays fresh for a year or more, simply place the bag in your freezer. You can use the flour directly from freezer to recipe. Want restaurant-style shredded chicken without fuss? There’s no need to risk scorched fingers by shredding hot chicken with forks. 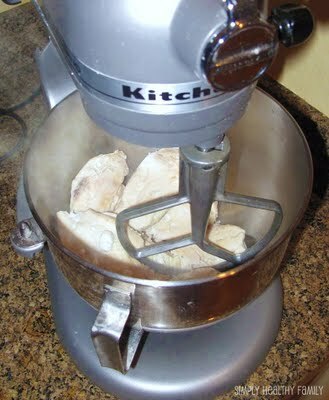 The secret is using the paddle attachment on your standing mixer and “mixing” cooked, warm chicken breasts for a few minutes. Get the details here from Simple Healthy Family. Making salad dressing at home allows us to control ingredient quality and skip on the toxic vegetable oils and preservatives found in store-bought dressings. My family always has this Salad Dressing Jar on our kitchen table. It’s marked with dashes and directions, so you fill it up with oil to one dash, then add lemon juice or vinegar to the next dash. You get perfect proportions of oil and vinegar every time!It includes a variety of recipes written on the bottle, so you needn’t look up what spices to add to your Italian salad dressing. I frequently use this kitchen hack during the holidays, when I’m gifting homemade cookies or some of my homemade Salted Date Caramels. 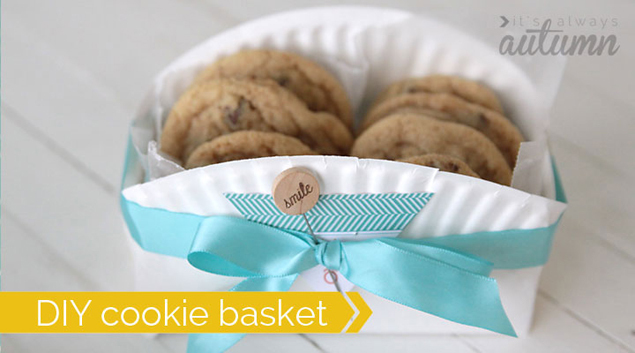 You can dress up the paper plate basket with some ribbon and there’s no need for the recipient to return the plate after enjoying the treats. Get the directions here at One Good Thing By Jillee. Nothing beats a juicy watermelon on a hot summer day, but stuffing your face into a thick watermelon wedge can be slightly messy. 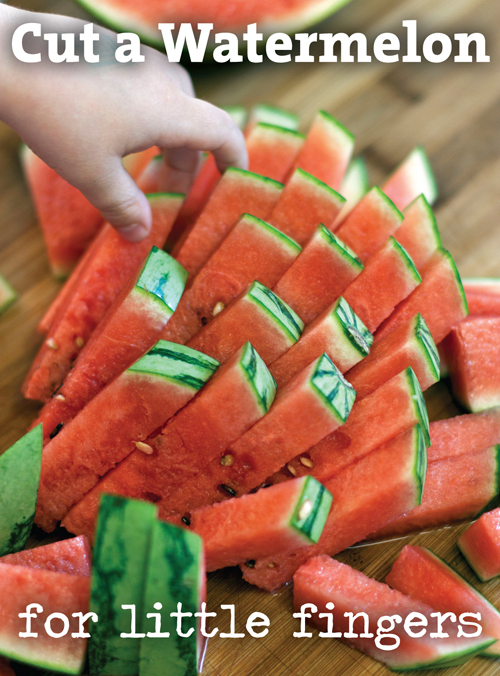 For little kids, it can pose an extremely daunting challenge to even hold a big slice of watermelon. This brilliant method of cutting watermelon, from Mama Say What? !, works for young and old alike! 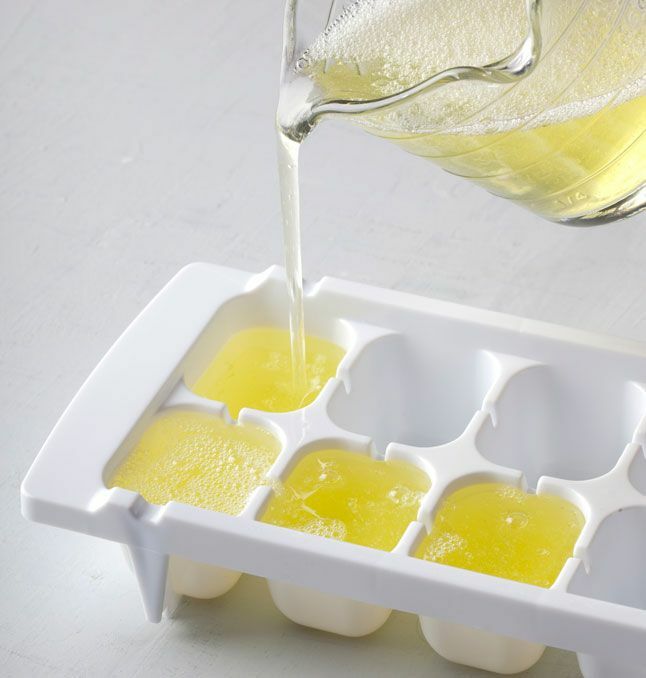 Put one egg white in each ice cube partition – I actually use this large silicon ice cube mold, which fits an egg white perfectly. If you have a smaller ice cube tray, you may find that two partitions are needed for one egg white. Pop out and place the egg white cubes into a labeled zip-top baggie and freeze until needed. When you are ready to use your egg whites, perhaps for a batch of merengue cookies, pop out the desired amount of egg white cubes before thawing them out. Place the frozen cubes in a bowl in the fridge and let them thaw out overnight, then they will be ready to use. 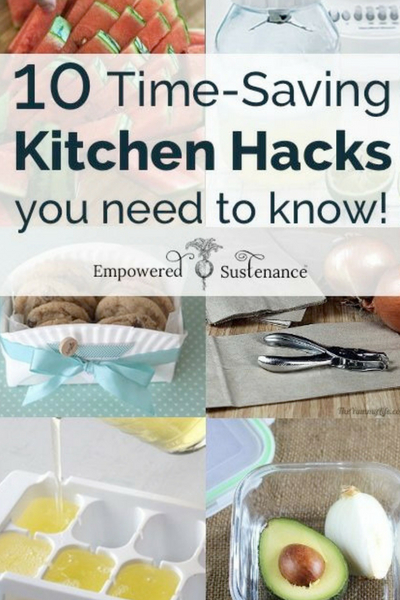 Last but not least, this kitchen hack alone may revolutionize your cooking habits. 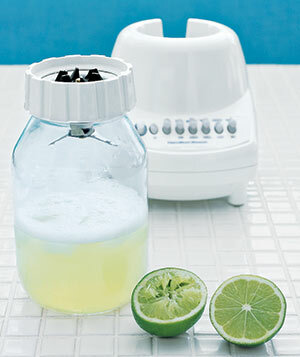 Did you know that a Mason jar can be used instead of the pitcher in most blenders? I found this tip here from Real Simple Magazine. This works perfectly for on-the-go smoothies. 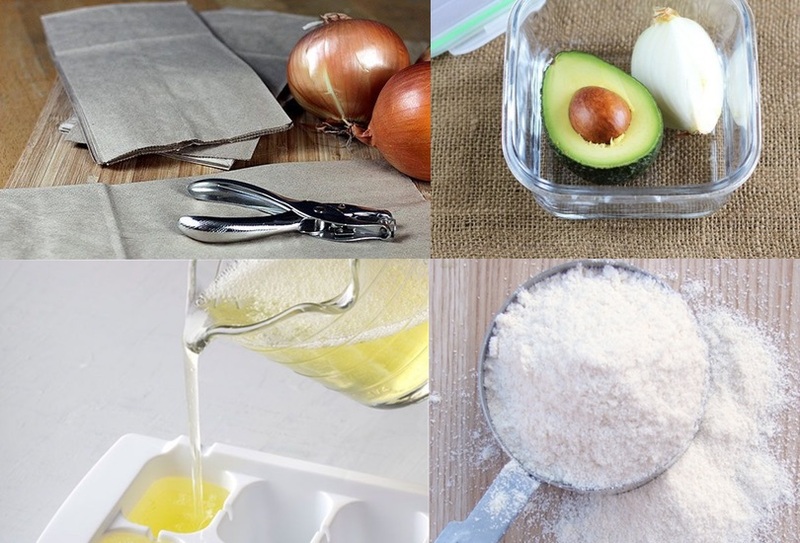 Which of these kitchen hacks are you going to try? Pass this list on to your friends with the sharing icons below! I keep lemon juice in a spray bottle. I use it to spritz cut avocado, apples, and other foods which brown/oxidize when cut. This may not be the place to ask but I’m just curious to know – how to clean the stuff off lemon skins without losing that beautiful fragranced oil that’s so good for cooking? For that matter – how to wash most produce? That would be a handy post. I spray vinegar on produce, rub it all over then rinse with water. My daughter uses the shredded chicken trick for pulled pork also. Works great!